The Supreme Court is no stranger to high-profile, high-stakes cases on reproductive rights, and on Monday, it was that time again — the high court had been to hand down its ruling on Whole Women's Health v. Hellerstedt, its first major abortion-related decision in two decades. Even though the ruling was a victory for women's rights advocates, the decades-long, contentious fight between social conservatives and proponents of reproductive rights is nowhere near over, so maybe you're wondering: how can you help Texas abortion providers and the women who need their service? 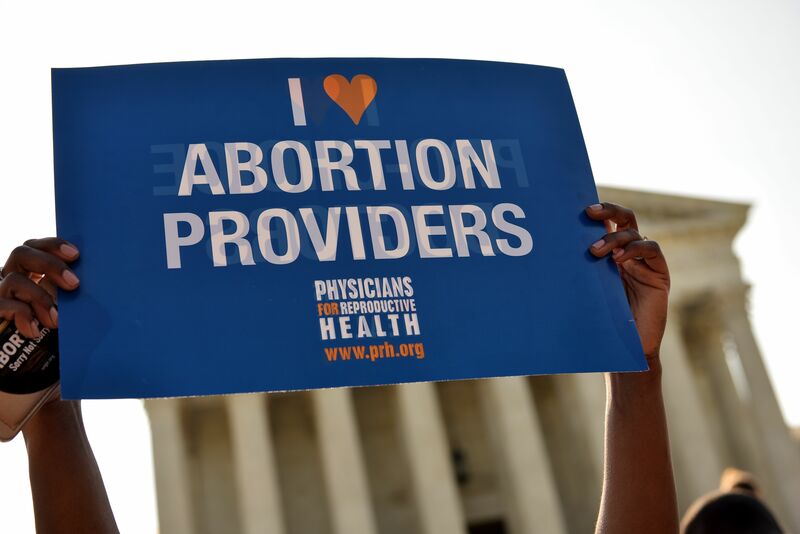 Planned Parenthood is without a doubt America's biggest provider of reproductive health services, and as far as Texas is concerned, they operate five of the state's ever-dwindling supply of abortion clinics. If you've got the money to spare and you'd like to help bolster the organizations at the front-line of the abortion rights battle, consider donating to Planned Parenthood of Greater Texas. The Texas Equal Access Fund (TEA Fund) is dedicated to making abortion more affordable and accessible for low-income women, who are invariably the women most harmed by the sorts of new abortion restrictions Texas Republicans have passed in recent years. If you donate to this fund, you'll be helping to provide financial assistance to women who need abortions but might not otherwise be able to afford them. The Texas chapter of NARAL, the longtime, national abortion rights advocacy group, is also a perfectly appropriate place to direct some of your money — again, be realistic about whether you have the cash to responsibly spend, but if you do, it'll surely be greatly appreciated. It's important not to forget exactly how abortion access in Texas was so severely curtailed, and what the ostensible justification was — the so-called TRAP laws (targeted regulation of abortion providers) were billed as reforms to protect the health of Texas women, but in practice they've had a far more predictable effect. These kinds of restrictions have been proposed and passed in more states than Texas, and there's really no better time to oppose them than early, when things can still be impacted by pressure at the state and local levels. If your state legislature starts considering rafts of new abortion regulations, don't wait around for them to become laws that have to be overcome through a judicial battle — devote as much time, money, and energy as you have to get the word out. If there's any big adjustment you could make to your personal political worldview that might help abortion access in states like Texas and beyond, it's this: make it an absolutely core voting issue, a hard litmus test to apply uncompromisingly to prospective candidates, and encourage your friends and family to do the same. The thing about opposition to abortion is that it's regularly very deeply held, enough so that it can override other concerns. While you should never abandon all other rational concerns, don't be afraid to make reproductive rights your 1A issue, both in terms of voting and public advocacy. There's a movement in America that's dedicated to stigmatizing those who speak out unapologetically for reproductive rights. Don't let them convince you not to speak out. That last part is doubly true as far as the Supreme Court is concerned — if you want to see reproductive rights protected in this country, and abortion upheld as a constitutionally protected right, that's going to demand justices on the bench who view it the same way. The Democratic Party has had some talk of Supreme Court litmus tests this primary season, but not about abortion — Vermont Sen. Bernie Sanders has repeatedly pledged to only appoint justices who'd overturn the court's 2010 ruling in Citizens United v. FEC. While it's a virtual guarantee that a Democratic president's Supreme Court nominee would be more favorable for abortion rights than a Republican's, that doesn't mean you should get complacent — advocate for strong pro-choice justices whenever you have the chance, and make sure you let presumptive Democratic nominee Hillary Clinton know that you won't accept any half-measures on this.